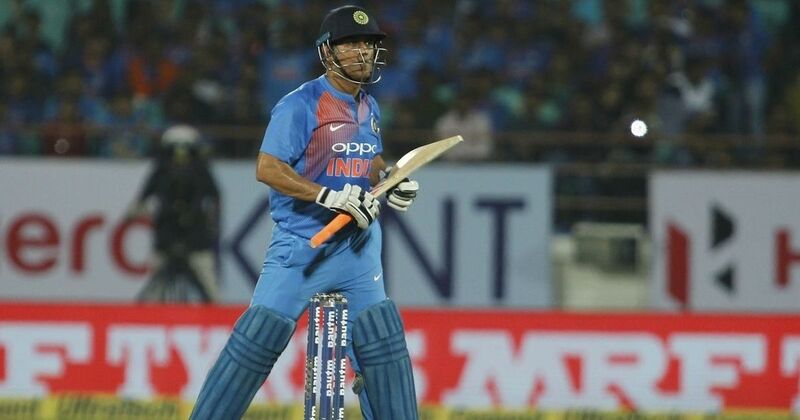 Thiruvananthapuram, Nov 6: Mahendra Singh Dhoni's batting position will be under spotlight as India aim to go for the kill against a gutsy New Zealand in the third T20 International despite weather threatening to play spoilsport. The series is level at 1-1 and just like the preceding Australia series, where the series decider T20 at Hyderabad was a washout, there are chances that the 'winner takes it all' encounter against the 'Black Caps' could meet the same fate with forecasts of rain by the Meteorological department. The Virat Kohli-led India team has been on a roll in recent times but has faced stiff resistance from an enterprising New Zealand, usually known to punch above its weight. It will be nearly three decades (29 years) since the city witnessed an international match and it has become all the more significant after calls to replace Dhoni from the shortest format gaining momentum. Former India great VVS Laxman in no uncertain terms has said that while Dhoni can still be a part of ODIs, it's time to groom someone new in the shortest format. While 49 off 37 balls with a strike-rate of 132 may not be all that bad but the former captain's inability to rotate strike during the past one year has been a cause of concern. In Dhoni's innings, he had scored 26 runs in boundaries from five deliveries (3x6, 2x4) and managed only 23 from the remaining 32 deliveries, which is far less than run a ball. It will be interesting to see where Virat Kohli and chief coach Ravi Shastri slot Dhoni in the next game. A school of thought suggests that Dhoni will be suited at No 4 in case India lose early wickets as it will give him time to settle down. The Indian team's performance has been one of contrast in the first two games. They outplayed New Zealand in the first T20 International by 53 runs and then were crushed by 40 runs in the second game where Colin Munro took the bowling apart with a blistering hundred. While batting --- save Kohli's 65 off 42 balls was disappointing, the bowlers also did not cover themselves in glory with the fielders also having a below-par day. Dropped catches hurt India's chances too while debutant Mohammed Siraj had a rough time. However, the good work by Jasprit Bumrah and Bhuvneshwar Kumar helped keep New Zealand below 200. It remains to be seen if the team management gives Siraj another opportunity in a crucial game or opts for an extra batsman in his place. Kohli admitted after the loss at Rajkot that the batsmen were not "good enough" and stressed the need for all to chip in. The visiting New Zealand side, which came into the T20 series as the No.1 ranked side, has since been displaced by Pakistan. The Kiwis, however, can regain the top spot by beating India in the final game. Captain Kane Williamson was happy after the team turned things around after the loss in game one. "I guess it was a contrasting performance from the last game. An improved performance on all sides, we need to keep doing this to beat India here and going on to the next game, we need to repeat this," Williamson said after the win in Rajkot. The Kiwis have been competitive and lost the ODI series narrowly and proving to be difficult customers in the T20s too. While the batsmen have done well to counter the Indian bowlers, especially the spinners along with seamer Trent Boult have put their hand up when it matters the most. Leg-spinner Ish Sodhi, who wasn't part of the original squad, has been a revelation and kept the India batsmen under check with his clever variations. Boult rocked the host team's top-order in Rajkot, getting Rohit Sharma and Dhawan cheaply, which proved vital in the final analysis. Newcomer Shreyas Iyer looked good during his knock of 23 but an indiscreet shot selection cost him his wicket. All-rounder Hardik Pandya has gone off the boil since the back-end of the Australia series but the captain defended him. The hard-hitting Pandya won't mind a return to form in a high- stakes game tomorrow. Teams (from): India: Virat Kohli (captain), Rohit Sharma, Jasprit Bumrah, Yuzvendra Chahal, Shikhar Dhawan, Mahendra Singh Dhoni, Shreyas Iyer, Dinesh Karthik, Kuldeep Yadav, Bhuvneshwar Kumar, Mohammed Siraj, Manish Pandey, Hardik Pandya, Axar Patel, KL Rahul. New Zealand: Kane Williamson (capt), Trent Boult, Tom Bruce, Colin de Grandhomme, Martin Guptill, Matt Henry, Tom Latham, Henry Nicholls, Adam Milne, Colin Munro, Glenn Phillips, Mitchell Santner, Ish Sodhi, Tim Southee, Ross Taylor. Match commences at 7 p.m IST.